Author Raymond Sokolov calls tomatoes “culinary catalysts.” Tomatoes, along with tart cherries, have the ability to enhance other foods in a dish without stealing the stage. Perhaps that’s why tomatoes are so universally beloved. In northern Michigan we are at the mercy of the weather and the seasons for our supply of fresh tomatoes. If you weren’t clever or organized enough to preserve your own tomatoes, as fall wanes you probably think that you’ll have to bid good-bye to all those lush local tomatoes. You might be one of those that think the only good tomato is a summer fresh one. As many of you might know, I am a culinary snob, but when fresh tomatoes are gone I go for canned. Canned tomatoes are a better taste experience than their out of season brethren because they are picked ripe at the height of harvest. ﻿Exceptional sauces start in the details. You could start with a vegetable sofrito or mirepoix (a diced mixture of all or some onion, celery, carrots and garlic). Sauté some herbs in the beginning or add them in the middle or end. Begin by sautéing pancetta, bacon or prosciutto. Choose fresh or canned tomatoes. What about mushrooms: dried porcini or fresh domestic mushrooms? Will you top your sauce with cheese, cream or extra virgin olive oil at the end? You may want to roast your store-bought tomatoes to concentrate their flavor for a sauce, or you might choose to use a few sun-dried tomatoes or a dollop of tomato paste to boost flavor. ﻿Educate yourself with others’ recipes or by watching Italian grandmothers. Don’t burn the garlic. Add it after you cook the onion and larger longer cooking vegetables. Create your next sauce with your tomato’s taste in mind. Does it need more sweetness (a little sugar) or an acid (lemon or balsamic vinegar) to balance? What herbs you will add depend on what kind of a sauce you want to design. Will it be the bold and demonstrative long cooking rosemary, sage, bay leaf, oregano and thyme or the sweeter, shorter cooking mint, basil, marjoram and chives? Sniff out other flavor builders. What about black and green olives, pine nuts, orange zest and juice, meats whole and ground, a rind of Parmigiano-Reggiano, anchovies, capers, sun-dried tomatoes, or roasted garlic. End it well. Stir in a little extra virgin olive oil, butter, creamy cheese, or delicate herbs for a “top” flavor–the one that hits your tongue first. The rest of your work shows up after you swallow. Don’t overcook tomatoes, they will become bitter. Start with fresh, flavorful ingredients in season. The better flavor your ingredients have, the less tinkering you have to do. Winter tomatoes are notoriously flavorless. Employ canned tomatoes—they are picked at the peak of flavor. Make it a habit to taste your tomatoes, and all your ingredients. Whole canned tomatoes in tomato puree or their own juice are best. American brands like Muir Glen, Red Pack, Hunt’s and Contadina are surprisingly tasty. As you might mix apples in a pie, try mixing different flavored tomatoes in sauces for a more complex flavor. Extra virgin olive oil or unsalted butter is essential. Buy olive oil in small bottles that you’ll use in a month or two. Taste many and note the brand and region that you like most. Look for sweet nutty notes, which come from riper Southern olives. Northern olives are spicier, greener. Butter should always be unsalted–salt masks old and off flavors. 6. To seed or not to seed. Sauces cooked with the seeds are actually sweeter. Many Italian cooks simply chop the tomatoes, cook them and pass them through a food mill at the end to remove seed and skin. That way all the flavor elements of the tomato can cook into the sauce. 7. The size of your pan influences cooking. Wider pans cook faster (more individual bright flavor) and narrower pots cook more slowly and lose less moisture (less surface area). Slower cooking sauces mute flavors more and so the sauce is more complex and mellow tasting. 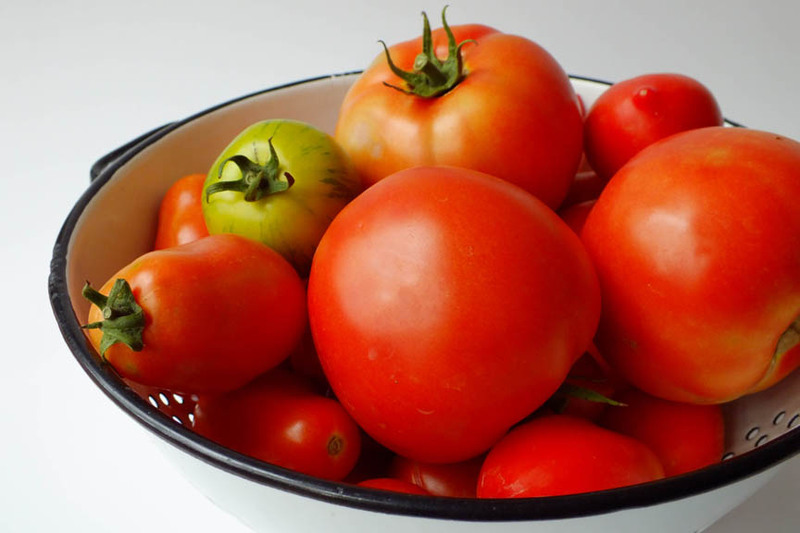 Stay away from aluminum, it will leach into your tomatoes and destroy their flavor. De-glaze to add another layer of flavor. After cooking your vegetable base, you can pour in a little red wine or meat stock for a hearty sauce, white wine, vegetable or poultry stock for lighter flavor, and Marsala or vegetables juices for a sweeter sauce. When you de-glaze with alcohol, do cook it down to remove the harsh rawness of the alcohol. ﻿What you do with a sauce afterwards counts too. Leave it alone: take care to chop ingredients uniformly and you’ll have a sauce with a rustic, hearty individual flavor. Pass it through a food mill: this will produce an elegant, refined sauce good on delicate foods and on pizza. Puree it: blenders and food processors are fast and convenient, though they add an airiness to the sauce you may find distressing. Use raw sauces up now or feed them to the neighbor. Cooked sauces last no more than 4 to 5 days. Freeze sauces up to 3 months. Thaw them in the refrigerator and heat gently. Heat a medium non-reactive saucepan over low heat. Pour in the olive oil. Layer in the onion, celery, carrot, garlic, parsley, basil, and tomatoes. Do not stir. Simmer this covered until the vegetables are very tender, about 1 to 1 1/2 hours. Do NOT stir. Pass the sauce through a food mill if you want a fine sauce and into a saucepan. Reduce the sauce over medium heat till thick. Stir in the butter and salt and pepper to taste. Heat the ghee in a saucepan over medium heat and add the ginger. Cook until soft, about one minute then add the chile, cumin and cinnamon stick. Fry them until they are toasty and fragrant, about 30 seconds, then add the tomatoes and vinegar. Simmer uncovered until the chutney is fairly dry. Taste it and season with more vinegar, sweetener and salt. Heat a deep skillet. Add the fat and when hot, add the whole spices. Cook them for 30 seconds and add the onions. Stir-fry over high heat until they soften and brown. Mix the curry powder with enough water to form a thick, pourable liquid. Add the ginger, garlic and curry powder mixed with water to the onions. Cook them until the spices dry and begin to stick about 30 seconds to one minute more. Add the tomatoes and simmer the dish over low heat until oil begins to separate from the mass, about 5 to 10 minutes. Add the chickpeas or chicken and simmer until cooked through but tender. Add salt and lime juice to taste, mix well, and turn out onto a platter. Serve with lots of rice.